Eilis O’Connell studied at Crawford School of Art, Cork and Massachusetts College of Art, Boston. She is a Royal Hibernian Academician, has won awards from the British School at Rome and the Royal Society of Arts and undertaken residencies in both France and Spain. 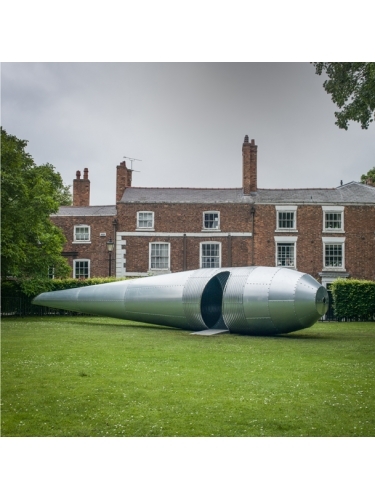 Many of her works are large scale public commissions and include 'Reedpod' a 13.3 metre sculpture in stainless steel and copper for Cork, pieces for Cardiff Bay Art Trust, London Docklands and Bristol Docks. She uses a variety of media and techniques from stone or rubber to steel cord or feathers and from cast metal to sewn fabrications. Her inspirations may come from a wide range of sources including archaeology, architecture or found objects. O’Connell exhibits widely both in Britain and abroad and her work is held in public and private collections throughout the world.